Gaijin Kanpai Ep.139 - "GK OG"
GK OG's yo, kickin' it old school. Yeah. *some kind of generic hand sign that makes us seem "gangsta"* ...We may be nerdy white kids but we will probably never stop trying too hard. This week we are Jaylee-less. LoKi and Zer0 stick around to be awesome together, just like old times. Awww. Listen as we review "Milestone" by BoA! 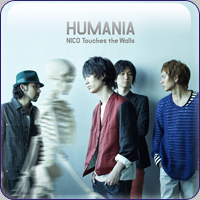 Marvel as we dissect the artistic merits and flaws of "Humania" by NICO Touches the Walls! Thrill to our GK-AA results! Shock! Amazement! Bewilderment! Alcohol! The uStream was quite the party this week - if you weren't there, you missed a troll who failed to get a rise out of us. We called him "cute." It was quite entertaining. To make sure you never miss such events again, join us each Thursday at 7:30 PM Pacific, 10:30 PM Eastern! Also - and this is VERY IMPORTANT - our next episode will be uStream Exclusive!! If you miss it, you miss the whole week! Just our little Christmas gift to the fans who come chat with us. Swing by, if only for a little while, as we talk J-pop by a virtual fire. - Wow. People listen to GK?! - Do you wanna get paid to edit GK? - Koda Jumi announces marriage. Baby on the way?